If you're as big a fan of the Target dollar section, then you probably have a huge stash of things that you think that you'll use someday but never get around to... I'm horrible with it! My closet is full of "projects" and random items. I've had some trouble sleeping lately so I've been catching up on my craft projects. Honestly, it's felt good to get them done. Though I wish I could just get a good night's sleep somedays! One, or should I say three, of the things I picked up were some kraft desk box organizers. The interiors had different colors and I had one in yellow, black, and red. The outside of them was "naked" and begging for something fun. I have a huge stash of washi tape now, I collect it like I do paper, so I decided to put it to use! And I color coordinated the boxes. 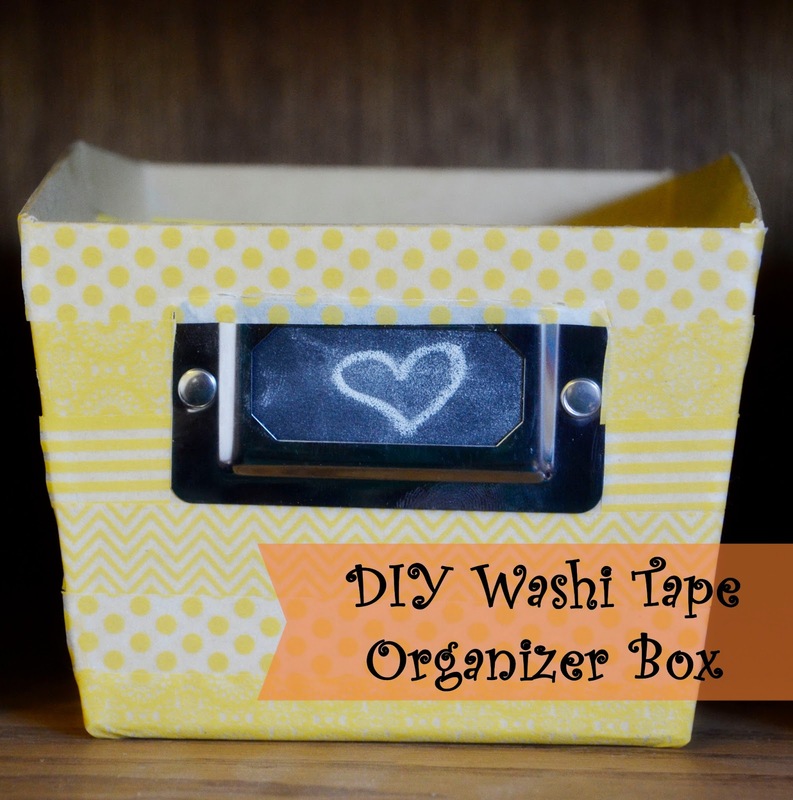 Washi Tape is so easy to work with and requires little clean up too! I really like that part about it. I took my time lining up the tape around the box in strips. 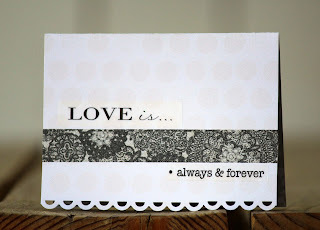 The washi tape is from We R Memory Keepers. 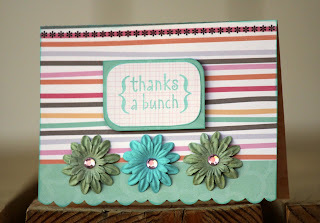 When I was done with that, I cut some strips of chalkboard vinyl from Pick Your Plum. They are perfect for holding my random little things on my desk. 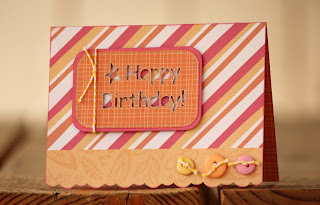 I am a washi tape fan! My son is obsessed with containers. And I mean obsessed. Wherever we go, he finds them. Last week, I took the kids with me to Hobby Lobby. I know, brave right? While walking down the unfinished wood aisle, Littlefoot found a little wood box with a handle. It looked like a lunch box. He begged me to get the box for him. I decided it would make a fun little project for us to work on together, so I caved and bought it. When we got home, and baby boy was asleep, I whipped out my paint and foam brush. He was very good at not gobbing the paint on and painted very carefully. When he was done painting, he also used his markers and crayons to add some more personal touches. We only painted the outside. He insisted on not painting the inside. That was hard for me to do! Once the paint was dry, it was mommy's turn. 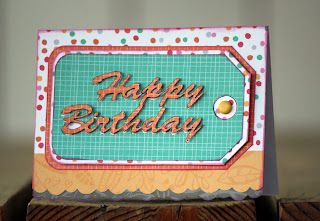 I used paper from the Kidlet stack by Die Cuts With A View and measured out the inside portions for the paper. I used four different patterns; one on the outside, one on the inside bottom and two different ones for the sides on the inner part of the box. They were darling papers with fun patterns and textures. Once adhered, I used some modge podge to seal them up. For the top inside part of the box, I thought it would be fun to have a little chalkboard for him to use. He's really loved using mine and this way, he could have his own and store the chalk in the box. I used my chalkboard vinyl from Pick Your Plum and measured it out. Bam! Done. I did treat the vinyl by rubbing a piece of chalk over the surface and then wiping off. Finally, the finishing touches. While at Hobby Lobby, I let Littlefoot pick out a couple of prepainted wood shapes. He has shown a love for space things so he chose the Earth and a rocket. Too cute! I love that boy. I glued those down with wood glue on the top of the box. To complete it, I used sparkly chipboard letters from We R Memory Keepers "Noted" line to spell out his name. He was so excited to see it the next morning when he woke up. I love that little smile. 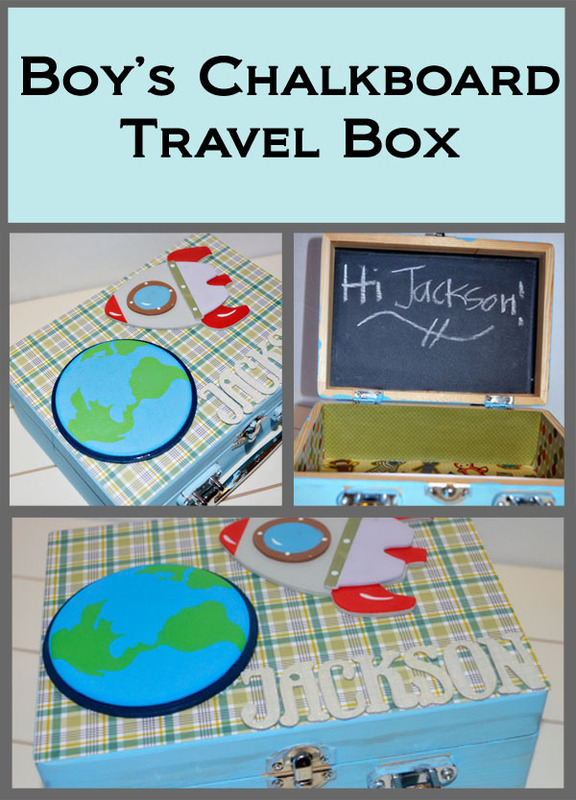 He's been taking it with him everywhere, including to bed, where he draws his fun chalkboard pictures. The box is great for keeping him busy in the car too. 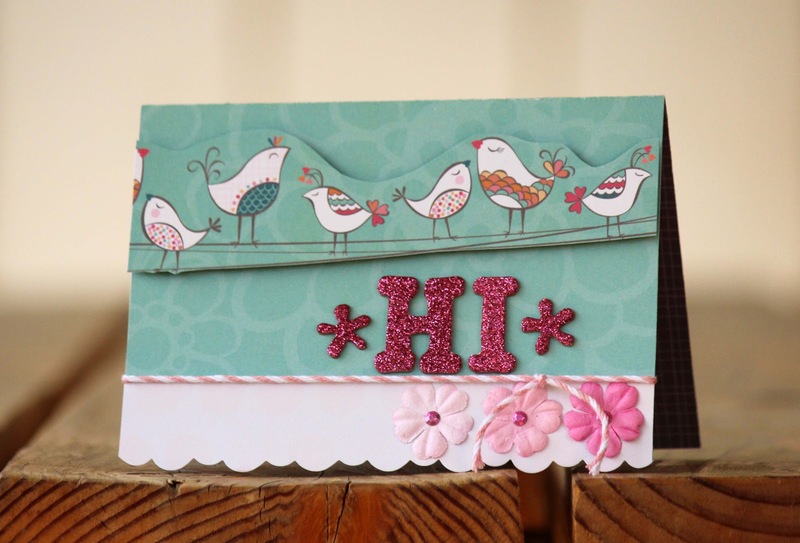 Ange here today with some fun DCWV product. I brought this super cute stack home from the Expo with me and it was just screaming for cards! 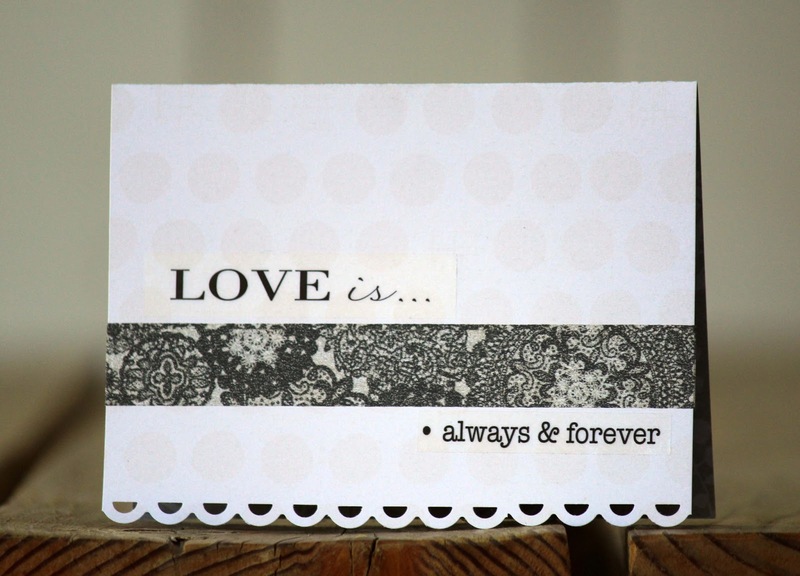 I love that all the papers are double sided and have this fun scalloped edge along the bottom. Great for making super cute cards really quickly. 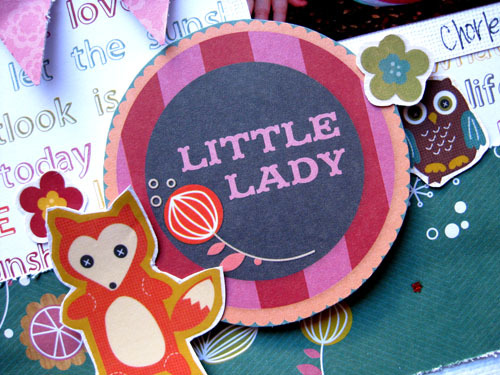 I made a wide variety of cards leaving the scallop along the bottom for most of them. On these two I used my brand new silhouette. I just played with it a bit to help me learn some of the functions. Lots of fun! For these two I cut elements out of the design of the paper to add to the front of my card for a little more interest. These last two are a little bit different but I added some SRM stickers to both of them and flowers w/ Imaginisce gems (got them at the Expo!) for this top one. This last one I wanted to be a little more elegant so I cut the blue strip off the bottom to leave the card white/off white, punched the bottom and then added the stickers and washi tape. 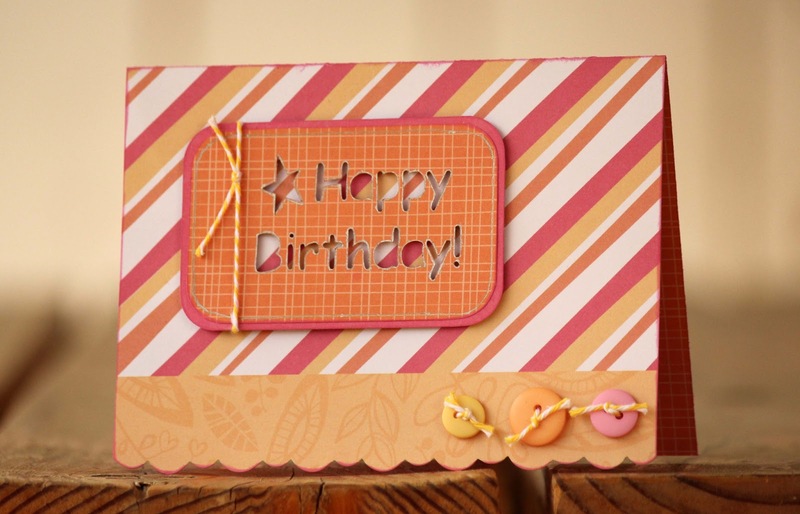 I hope you enjoyed seeing my cards and hopefully they inspired you a little. 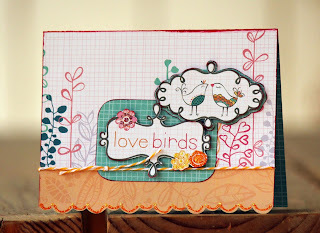 It's Wendi here and I'm sharing a layout that I made using the DCWV Kidlet paper pack. This pack is SUPER fun and I can tell will work with several different photos and events. 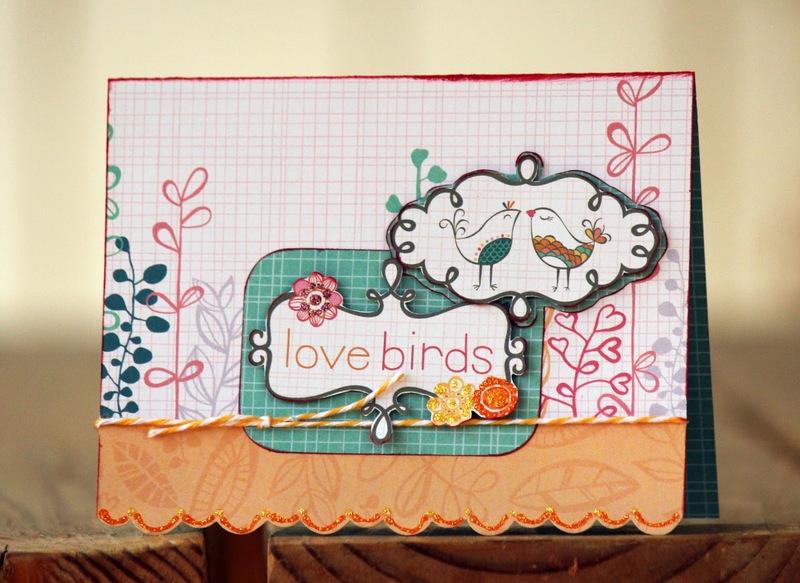 I mixed and matched several of the patterned papers and created several layers. 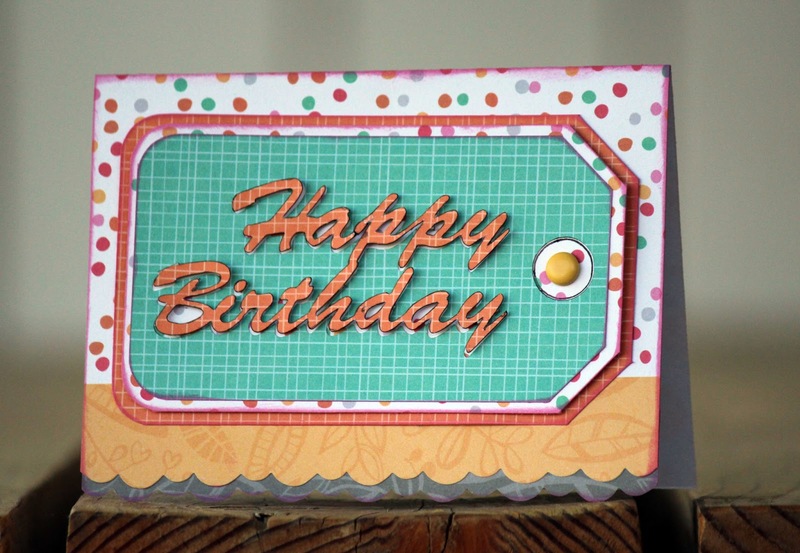 I added a banner using cut triangles and then added twine. I also fussy cut out the cute lil owl in the collection. 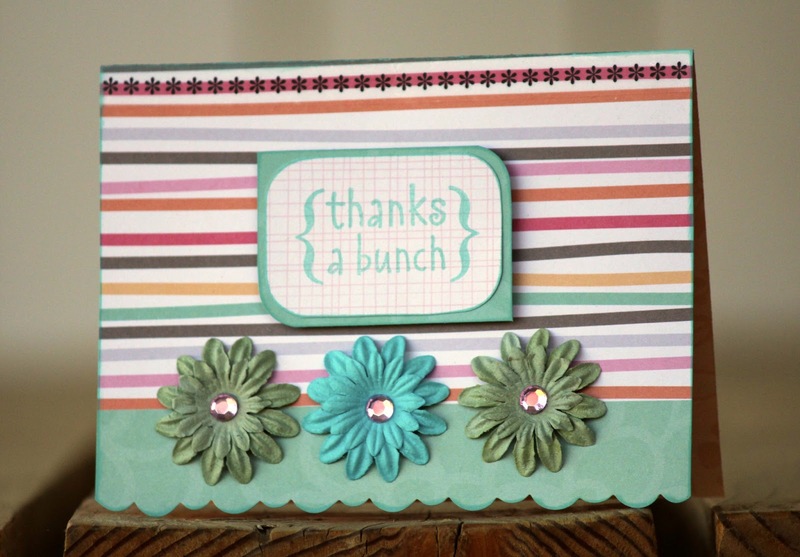 I completely enjoyed using this pack and can't wait to make some more pages with this line. 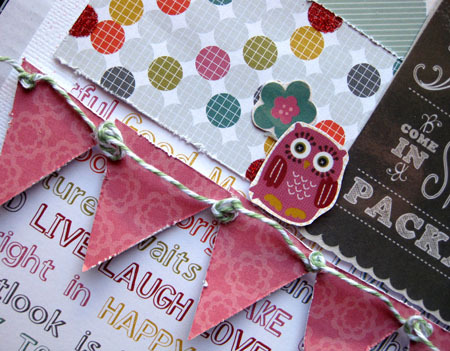 Make sure to check out DCWV, their paper packs are filled with fun!!! Extra supplies: twine, mist, cardstock.